We study the computational problem of identifying optimal sets of kidney exchanges in the UK. 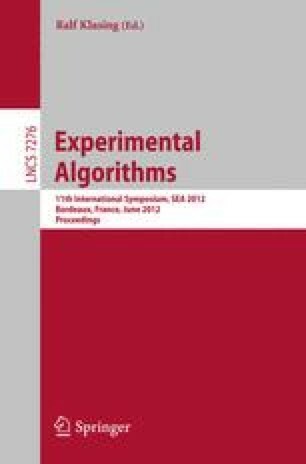 We show how to expand an integer programming-based formulation [1,19] in order to model the criteria that constitute the UK definition of optimality. The software arising from this work has been used by the National Health Service Blood and Transplant to find optimal sets of kidney exchanges for their National Living Donor Kidney Sharing Schemes since July 2008. We report on the characteristics of the solutions that have been obtained in matching runs of the scheme since this time. We then present empirical results arising from the real datasets that stem from these matching runs, with the aim of establishing the extent to which the particular optimality criteria that are present in the UK influence the structure of the solutions that are ultimately computed. A key observation is that allowing 4-way exchanges would be likely to lead to a significant number of additional transplants. Research financially supported by the National Health Service Blood and Transplant (NHSBT) between 1 April 2010 – 30 June 2010, and between 1 January 2012 - 30 June 2013 (project 10-11-ODT). We gratefully acknowledge collaboration with Rachel Johnson, Joanne Allen and with other staff at NHSBT. The views expressed here are those of the authors and not necessarily those of NHSBT. Research also financially supported by a Knowledge Transfer Account from the Engineering and Physical Sciences Research Council between 1 July 2011 - 31 December 2011. Finally, we would like to thank Péter Biró, Rob Irving, Kirstin MacDonald and Ana Viana for valuable input into this work.